Mid-market banks have been winning market share from leading firms in recent years. Accelerated by the financial crisis, a new generation of independents is taking hold, many of them helmed by senior rain makers who have left bulge bracket banks. These players also seem to be ahead of the curve when it comes to building a sustainable business model. The financial crisis, and the wide-spread macroeconomic and regulatory changes that resulted from it, have shaken up the financial services industry. Large investment banks in particular were hit hard, being forced to cut costs, jettison staff and reconsider their operating structures. However, the crisis has not only destroyed value but redefined what financial institutions must do to be able to compete and win. The environment will continue to be challenging, with shrinking volumes, secular decline, structural changes at client base and regulation playing a key role. Consequentially, mid-market investment banks have been winning talent and significant market share from bulge brackets– a shift that analysts predicted even before the global economy fell into recession.In fact, mid-market firms and boutiques together have advised on 33% of announced global M&A volume in the year up to the end of the first quarter of 2014, up from 31 per cent same time last year, and almost two times the amount of deals in Q1 2009, according to Dealogic figures.Buy-side institutional investors have become more focused on revenue. For example, a large hedge fund pays hundreds of millions in commissions and financing revenues to large banks with prime brokerage, which has made investors reconsider how much value they get from these service providers. After all, there are only so many deals and so much trading capital available in the market,which are yet to reach pre-crisis levels. 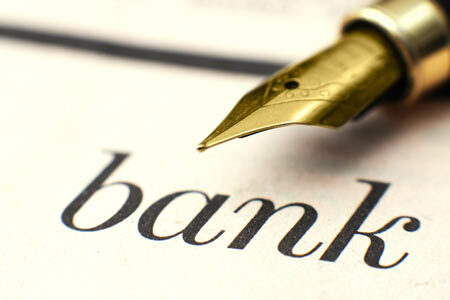 The crisis has also played a part in the cultural shift in banking. The industry has been widely criticised for short-termism, believed to have been at the root of the collapse of the financial system. In the past few years, we have seen a growing number of institutions adopt a more sustainable approach to developing the business.Many global mid-market firms are at the forefront of this change, as they are more likely to build their business on a long-term strategy.A new, low capital intensive model has emerged, deriving its strength from a client-centric approach that resembles the pre-bubble merchant banks. In addition to the need for change driven by commercial interests, the call for a reshaping of the industry has also been driven by regulators all around the world. In an attempt to reduce the systemic risk to the financial system, banks are now faced with more regulation than ever before. The more capital a firm employs and the bigger the business is, the more regulation it must comply with. However, this is another aspect where mid-market firms may have an advantage, as bulge brackets are subject to far more regulation due to the sheer breadth of their products, businesses and regions.This is not to say that regulation does not remain a key focus for smaller players, too. In fact, it is crucial to remain abreast of the regulatory trends and changes that will affect them, as well as their clients. In the wake of the crisis, independent advisers were perceived as providing their services free from the conflicts of interest of their larger rivals, who are often distracted by activities such as proprietary trading, lending and cross-selling pressures, or who use their balance sheets to finance deals. In addition, low capital intensive companies have less overall risk exposure, which makes it easier to achieve sustainable growth and to limit the potential for losses. What institutional clients care about is the four A’s: Assets, Access, Alpha and Anonymity – and these are the key drivers of revenue growth. Excellence matters and clients will pay for it, but it must be branded and sold correctly. With a deep impact on the corporate culture, the CEO’s role in implementing a long-term strategy is critical. The CEO must provide leadership and vision to ensure effective management, growth and profitability of the corporation, whilst protecting shareholder value and the firm’s employees and other stakeholders.Even though large banks have also started to adopt a more long-term view, successfully executing it across the company can prove difficult. People remain every organisation’s most important asset – especially in firms where the balance sheet plays less of a role in deals, advice and human capital are the core value, and are provided by each individual relationship banker. Therefore the importance of managing talent at different stages of the economic cycle cannot be stressed too greatly, as firms need to be sure they are getting value from their employees. The shift in the industry doesn’t mean that the structure or strategic direction of firms will fundamentally change. Bulge brackets will continue to do well, innovate and employ great people. However, there is a place for boutique and global mid-market players in the banking ecosystem, and it is becoming apparent that they will continue to strengthen their foothold. Global firms will remain global and those that follow a more focused approach will continue to do so.Nevertheless, it is evident that financial services firms need to put clients back to the centre of attention, and global mid-market firms with a strong brand have a huge potential in leading this development.